I’m not promoting a Northlake CID explicitly. Questions abound, but if we should have one, one aspect is worth discussing here: What size does it need to be to work – from recruitment to payoff. The subject of a possible community improvement district (CID) came up at last week’s Northlake Overlay meeting (reported by Patch’s Ben Schnider, June 8). It has been assumed from the get-go that a CID if formed would be centered on Northlake Mall and would have essentially the same boundaries as the Overlay District. We appear hell-bent on affirming that the “Northlake” name must only be associated with the small area that converges on Lavista Road near the mall and I-285. That’s not a community, it’s a choke point. A CID is an organization of commercial/institutional property owners that taxes each member to get things done collectively. No room for detail here, but if you’ve been to the area around Perimeter Mall, that’s a CID. The CID paid for the sidewalks, streetscape and lamps but also paid for feasibility studies, planning and reporting that keeps more work in the pipeline. You can multiply the amount of streetscape in Northlake by 20 and that’s just a start of what about 350 owners of high-end property can pay for. The Perimeter CID is up to about $5 million in collections per year, and it claims that every dollar can get matched 25:1 by local, state and federal government. The proof can be seen in the $50 million “fly-over” bridge that was just built over I-285. 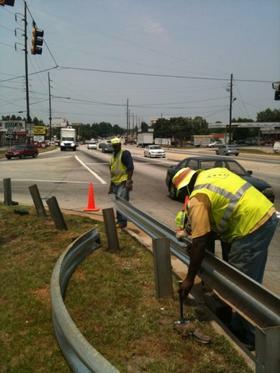 Do you see the painted highway guard rails near the manicured highway interchange at Ashford-Dunwoody? CID-paid. Need a powerful lobbyist for your area? A CID does that. Perimeter CID is actually run as two CIDs – one DeKalb, one Fulton. However, their data is kept jointly. The district is about 40 percent larger than the Northlake Overlay (projected Northlake CID area). However, their property is worth at least 10 times that of the Northlake business area. My back-of-the-napkin calculations three years ago showed our overlay zone would generate about $750,000 a year contrasted with the Perimeter CID’s $4 million plus at the time. Northlake’s lesser $0.75 million should beg reevaluation of our assumed CID area. The amount is enough to clean and secure the place and pay for some studies but a long way from what is needed to get help for roads and bridges. As envisioned, it’s not wrong; it can be the basis of a larger conversation. If you can call it Phase 1 of a more “complete” CID, the whole conversation changes. Of course, there are also many pros and cons to CIDs in general, so all stakeholders, businesses, residents and other partners could raise questions about CIDs in such a conversation too. The Northlake Community Alliance website (www.nlake.org) says they are working with the fellow who started three CIDs in Gwinnett: Emory Morsberger. However, Morsberger told me he’s been dissuaded by a lack of interest from some major players, most notably Simon Properties. Simon has ignored the CID idea here since at least 2004 when the mall manager at the time peppered them with requests. That hurt because Simon did get involved in Buckhead’s and Town Center’s CIDs. A developer and visionary, Morsberger is also the guy behind the Brain Train commuter rail plan (http://www.georgiabraintrain.com/) that would come through Northlake and Tucker (more on that another time). Morsberger understands how to shape and size CIDs. He formed them each on different concepts: one, a corridor along US-78; the next, Gwinnett Village (GVCID), which has business centers over a 15 square mile area; and lastly Gwinnett Place, a mall center like the Perimeter CID. In each case, he found a few leaders that paid for a full campaign to recruit the requisite members (51 percent of inventoried property owners). One, Vulcan Materials, a large quarry operation started GVCID. All of these have something which has power that can be overlooked in its influence – a specific jurisdiction that defines the community it serves. In my view, a CID of this type–or partially of this type–could be the answer to Northlake’s limited revenue base and lack of institutional leadership. A Northlake CID could include both sides of the railway where only the mall side is included in the overlay – important because of the value of rail for growth. It could extend further south on Northlake Parkway and Montreal Road to Lawrenceville Highway and include the entire medical center and whatever revitalization will be stimulated by the expanded I-285 interchange. (Coincidentally, Georgia Power’s DeKalb economic development office is or was located in the industrial park across the tracks from the overlay boundary.) The CID could potentially move toward Shallowford Road and merge with the proposed I-85 CID coming up from North Druid Hills Road, Clairmont and Buford Highway. Conversely, Northlake’s business center(s) could be added (piggy-backed) to other envisioned CIDs, given the lack of commercial property interest in the overlay district. Above all, looking at CID boundaries afresh can surface new corporate and institutional leadership. New enthusiasm from a different business community may pay for property inventories and tax digest studies under the rubric of throwing out old assumptions. One thing is for sure: By expanding the base, you’ll have to rely less on Simon Properties’ Northlake Mall for leadership. I think all forms of our local stakeholders would find progress faster if we didn’t focus so much attention on the mall and its owners. Looks like we need another overlay meeting, DeKalb. The DeKalb County (Ga.) School Board will ask voters in that county to approve a five-year penny sales tax to cover a $475 million list of schools’ improvements and building, according to the Dunwoody Reporter. Voters go to the polls in November. Projects the district hopes to tackle include replacing up to seven schools, the newspaper reported. If approved, the new SPLOST would run from 2012 until 2017. Shoppers would pay the increase in Decatur, portions of DeKalb that fall within Atlanta, and throughout DeKalb County. The school board approved a draft plan in May to keep the county’s school millage the same: $22.98 dollars on every $1,000 of value on DeKalb residences. The board is required to adopt a millage by July, the newspaper reported. Metro Atlanta will have fewer public transit options for seniors in the coming years than any other metropolitan area in the country with 3 million or more residents, according to a new survey from Transportation for America, a national coalition of public officials, and transportation and real estate groups. According to the study, by 2015 approximately 90 percent of metro Atlanta adults ages 65 to 79 will not have access to public transit. In the study called “Aging in Place, Stuck without Options,” Atlanta was followed in its population category by Riverside-San Bernandino, Calif., Houston, Detroit and Dallas. New York City was separated into a category by itself due to the area’s large population. For metropolitan areas with 1 million to 3 million people, Kansas City is ranked worst for senior transit options, followed by Oklahoma City, Fort Worth, Nashville, and Raleigh-Durham. 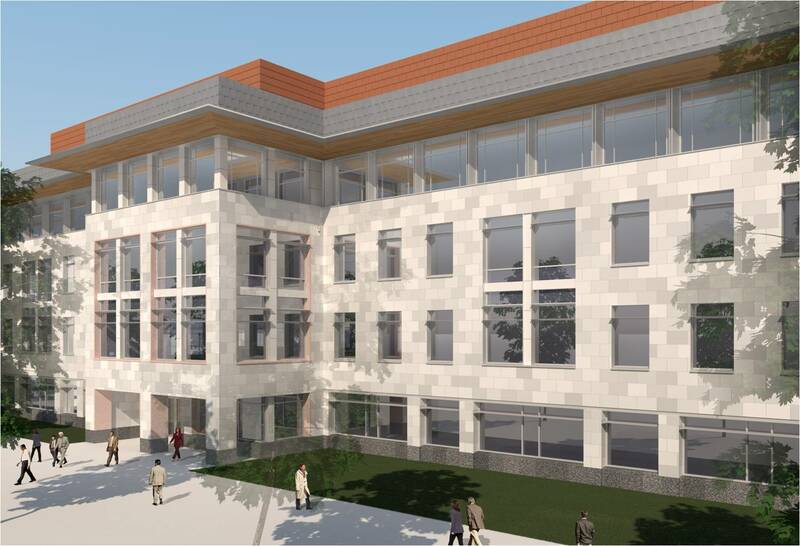 Construction of a new Health Sciences Research Building on the Emory University campus will kick off with an official groundbreaking on June 15. More than half of the new facility on Haygood Drive will focus on pediatric research through the Emory-Children’s Pediatric Research Center, a partnership between Emory and Children’s Healthcare of Atlanta, who will work closely with key affiliates including Georgia Tech and Morehouse School of Medicine. The new building will encompass 200,000 gross square feet, with four stories above ground and one floor below grade. In addition to a number of pediatric focus areas, the new research building will include investigations in adult cancer, immunology and drug discovery. A two-story working bridge will connect the new building to the Emory-Children’s Center building, adjacent to Children’s Healthcare of Atlanta and the home of Emory’s Department of Pediatrics. In addition to research space, the Emory-Children’s Center also houses a pediatric outpatient center, the largest pediatric specialty group practice in Georgia. “The bridge that links the new research building to the Emory-Children’s Center is an architectural highlight and gateway to the Emory campus. But more importantly, the bridge is a symbolic link between Emory and Children’s and reflects our shared commitment to child health,” says Barbara J. Stoll, MD, George W. Brumley Jr. Chair, Department of Pediatrics, Emory University School of Medicine and Senior Vice President and Chief Academic Officer, Children’s Healthcare of Atlanta. The building’s open design, accommodating 65 lead researchers and their teams, will feature natural light in laboratories and corridors. The building will include a 175-seat auditorium and a café dining area with outside seating. Designed by architecture firm ZGF (Zimmer Gunsul Frasca Architects LLP), the building is expected to be LEED-silver certified, with completion expected in April 2013. With a cost of approximately $90 million, the building will be funded primarily through philanthropic contributions, including a grant from the Joseph B. Whitehead Foundation, the Robert W. Woodruff Foundation Inc., the O. Wayne Rollins Foundation, the Zeist Foundation Inc., Dr. Raymond Schinazi funds, the Georgia Research Alliance and two anonymous foundations. For decades, the third rail for transit in Georgia has been money. The state’s gasl tax is constitutionally limited to funding roads and bridges — giving the state a convenient excuse for not investing in public transit or alternative transportation modes, such as sidewalks, bicycle and multi-purpose paths. As a result, almost all of the state’s transit systems have been financed by county governments, or in the case of the Atlanta, Fulton and DeKalb — the one-penny MARTA sales tax. But now metro Atlanta has an opportunity to pass a one-penny transportation sales tax for the 10-county region in a 2012 referendum. And those could be the most “precious” transportation dollars we’ve ever had because we finally have a mechanism to pay for the development of transit, sidewalks and bikeways. On June 1, the Georgia Department of Transportation issued the “unconstrained” list of transportation projects in the Atlanta region — a $22.9 billion wish list, including $14 billion for 66 transit projects. The list also includes $8.6 billion for roads, $27 million for aviation and $204 million for bicycle and pedestrian projects. Now the Atlanta Regional Transportation Roundtable has the unenviable task of trimming down the list of projects to match what the tax could possibly raise over its 10-year lifespan, if the sales tax is approved. Currently, it is estimated the tax will raise between $6 billion and $8 billion over 10 years (Georgia State University will be releasing new estimates in the coming week). So the executive committee of the Roundtable met on June 9th to try to figure how to decide which projects should be included in the list presented to voters next year. Among the issues that could narrow the list include whether projects significantly reduce congestion, whether they can be completed within the 10-year time frame, whether the projects fit into a regional vision, whether the projects promote sustainable development patterns, whether the projects are geographically balanced and equitable, or whether the projects make economic sense. Decatur Mayor Bill Floyd said another factor should be considered. “I’m looking at projects that don’t have other avenues of funding,” Floyd said. If state dollars from the motor fuel tax are available for interchange improvements, why should we use these “precious” sales tax dollars on projects that can be financed through other means? Of course, the ultimate goal should be to get the state to become a true investor in public transportation, be it commuter rail, light rail, streetcars, and bus systems. So far, the only real consistent state funding for transit has been for part of the costs of running the XPress bus system operated by the Georgia Regional Transportation Authority (GRTA). Remember, MARTA is the largest transit system in the country that receives virtually no funding from its state government. That point really hit home on June 8th during the Metro Atlanta Northern Crescent Transit Summit held at the Cobb Galleria. Pat McCrory, the former Republican mayor of top Atlanta competitor — Charlotte, N.C., had made the development of light rail a centerpiece of his administration. On this issue, McCrory encouraged leaders in the Atlanta region to embrace new transit development — just like he did in Charlotte. So then McCrory shared his wisdom. “Everything you do must be integrated with what your vision is, not just a transportation vision but a development vision,” McCrory said. As a way to make his point, McCrory showed a picture of a commercial strip with loads of concrete, ugly billboards and little signs of urban vitality. 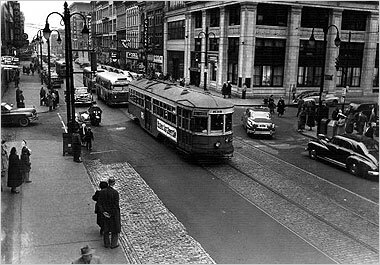 Then McCrory showed how such corridors were transformed once light rail was added. In Charlotte, McCrory’s message was to create “the best of Mayberry in Metropolis” as a way of telling voters they could have the best of both worlds — big city, small town. McCrory said the backers of light rail were able to communicate their passion about improving Charlotte’s quality of life, sustainability, not just for today but for generations to come. But McCrory also was able to communicate that passion to the state of North Carolina. Funding for Charlotte’s light rail system was: 50 percent from the federal government, 25 percent from a local sales tax AND 25 percent in state funding. So how did McCrory convince state leaders to invest in Charlotte’s transit system? First, McCrory convinced state leaders that transit would improve Charlotte’s economic development potential, and he got the governor on board. Plus, McCrory’s argument was that Charlotte contributed greatly to the North Carolina’s tax revenues. And as the state’s economic engine, Charlotte deserved its share of state’s revenues. (Now substitute Atlanta and Georgia in that same argument). After McCrory’s comments, Norcross Mayor Bucky Johnson, one of the most influential leaders in the region, made a ground-breaking statement. If Georgia were a true partner in strengthening metro Atlanta’s economic vitality, the state would invest in transit in the same way that North Carolina has invested in Charlotte’s light rail system. Imagine how much further our regional transportation sales tax dollars would go if the state were to match the local contributions in transit, and if the state were to invest in rail projects that cross over several metro regions, ie: helping pay for commuter trains between Atlanta and Macon. But the Georgia Department of Transportation recently pressured Erik Steavens, its director of intermodal programs and senior rail transportation expert, into resigning from his position — resurfacing questions about the state’s commitment to rail and alternative modes of transportation. And then there’s that question of funding. Now here is a dirty little secret. Georgia DOT has been able to invest in transit, sidewalks and bikeways all along. Every time someone buys a gallon of gas, 7.5 cents is the gas tax. But a driver also pays a 4-cent state sales tax on that purchase. Of that, 3 cents goes into GDOT’s pockets and 1 cent goes into the state’s general fund. That state sales tax has no constitutional restrictions meaning there is NO reason for the state to sit on the sidelines when it comes to developing a transit system for the Atlanta region. Bottom line. Some way, some how, we must find a way to invest in transit once and for all — be it through a “precious” regional sales tax or through direct state funding or preferably both.